﻿5G is pushing the boundaries of wireless communications and wireless device design. New innovations are needed in order to accommodate increased requirements for Enhanced Mobile Broadband, Massive Machine-Type Communications, and Ultra-Reliable, Low Latency Communications. 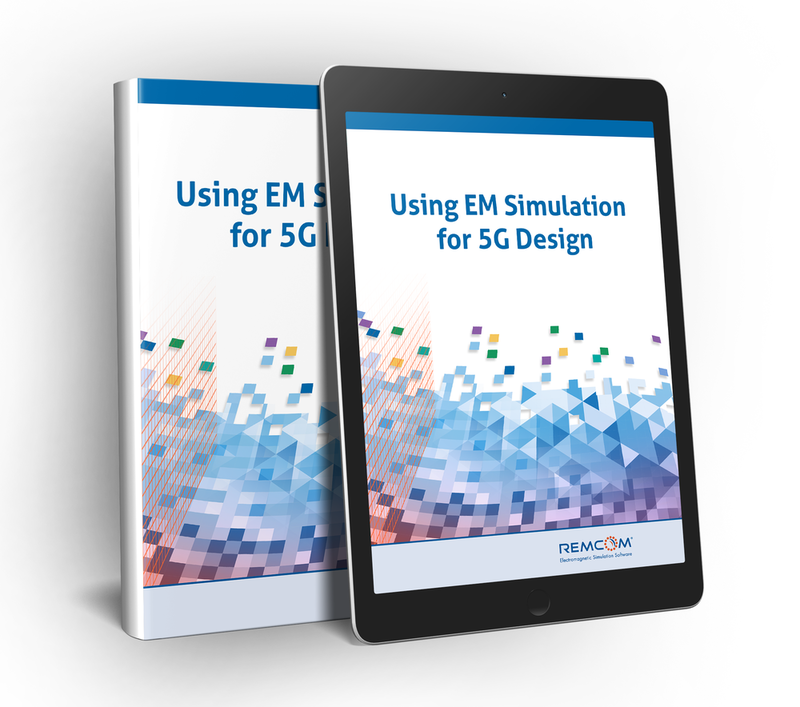 Remcom’s simulation products provide a complete solution, from system and antenna design, through performance assessment in realistic, simulated environments, and planning for deployment in 5G networks. Our mission is to provide accurate solutions, optimized for performance to help our customers reliably predict how their systems will behave in the real world. Through active research and development, we have been developing new products and adding capabilities to stay at the forefront of modeling and simulation technology for 5G and other advances in wireless communications. We hope you enjoy this collection of application examples written by Remcom’s engineers. They demonstrate how Remcom’s software can be used to solve challenges related to 5G and MIMO use cases such as MIMO and array design, 5G urban small cells, fixed wireless access, indoor WiFi and mmWave, beamforming, and more.